Coarse Brown Rice Flour in a bulk 50 pound bag. 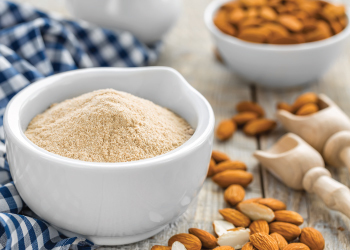 Honeyville's Brown Rice Flour is a coarse rice flour which is produced by grinding and bolting clean US #1 California milled medium grain rice and stabilized rice bran. Our Brown Rice Flour is tested and certified to be gluten-free. Rice flours are well suited in recipes with mild flavors. Rice has advantages over other grains in that it will not obscure what natural flavors are present and less added flavor is needed. 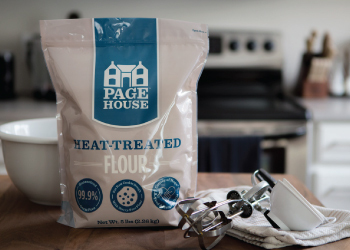 This flour is non-allergenic, making it valuable as a wheat substitute for those allergic to gluten and wheat flour products. Honeyville Brown Rice Flour is an ideal product for your gluten-free baking needs. Shelf-Life: Brown Rice Flour will store for 1 year in a sealed 50 pound bag under ideal storage conditions (cool, dry place). Uses: Substitute Brown Rice Flour with any recipe calling for flour to make healthy gluten-free baked goods. May also be used to produce rice pasta, chips and breakfast cereals. Visit our blog In the Kitchen with Honeyville to find delicious recipes for Brown Rice Flour and more! Packaging: Brown Rice Flour in bulk is available in a 50 pound bag. Packaging may vary. Ingredients: Coarse Brown Rice Flour (rice flour and stabilized rice bran).